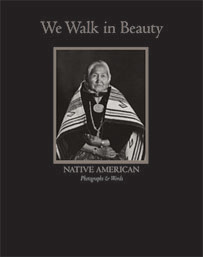 "We Walk in Beauty" Native American Portraits and Words, Photographed and compiled by Gary Auerbach. 88 pages with 44 duotones and 26 interviews. Representing 12 tribes of Native American People. Limited Edition of 300. Download a sample image and interview (PDF). Read the forward by Jennifer Brathovde, Library of Congress (Word). 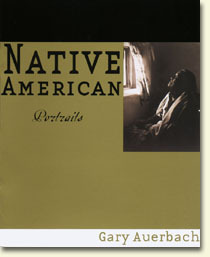 Native American Portraits, by Gary Auerbach, is a 20-page high quality catalogue produced for the one-year exhibition of platinum photographs at the Amerind Foundation Museum and Art Gallery. 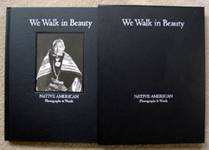 Included are 14 color plate images, with an introduction by Maricia Battle of the US Library of Congress and John Ware, executive director of the Amerind Foundation. 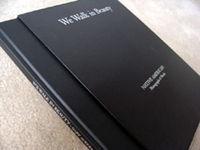 Available for $20 in the continental United States ($25 internationally).